There was a lot of surprise gasps and questionable avenues in the latest episode, Watch the Thrones, and while myself did enjoy the episode, there are some who did not favor some of the elements. One example is Bellamy’s following to Pike. If you get what he has been through, what he has lost, and now his sister wanting to leave, it is understandable. Do I like it myself? No, but I have to be realistic about things, and try to empathize with the individual. But, I do think that Bellamy’s drop is just going to be vague and temporary. 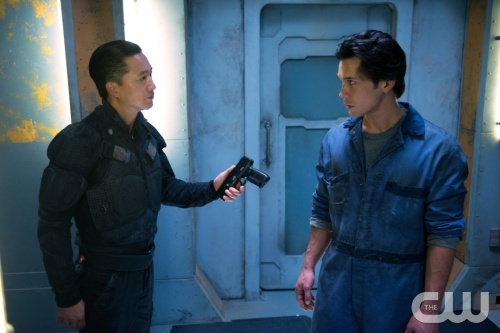 Showrunner Jason Rothenberg goes into detail about Bellamy’s dilemma and Pike’s new power. Oh, who is still weeping over the mercy killing of Finn? *Raises hand* Jason Rothenberg, the mastermind of the fan-acclaimed series, The 100 has bombed us with yet another season three spoiler. Now, truth be told here that I personally believe that any spoiler, good or dangerous, ruins the element of surprise. With that being said, I try to dodge them as possible. However, I just couldn’t avoid this one. 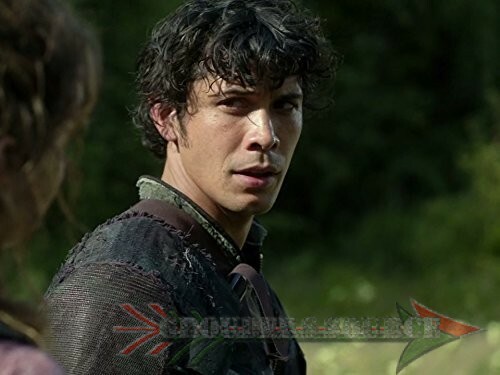 Rothenberg tweeted about how he wept over Bellamy Blake’s (portrayed by Bob Morley) emotional story frame in the up coming season three. Hmm, could Bellamy grieving over a loss? Or something else that might have shattered his heart, and leaves us fans hungry for more? Oh, Jason! How you love to tease us with such graphic possibilities! My heart cannot possibly take any more palpitations, as I am still recovering from the season two finale. Well, I am 99.9% that it will not be Bellamy dying or his sister Octavia. That is was what fans were panicking about over social media this weekend, but I am sure that isn’t the case. Well, I certainly hope not! So, let your hearts go down to normal levels, until the premiere. Season three of The 100 will air January 2016 on The CW. I know that this is a bit tardy, but back in May, the CW Network released its official synopsis for the third season of the sci-fi survival drama, The 100. As we need to suffer from more heart attacks or emotional breakdowns.